One of the biggest lessons we have learned in our marriage was how to speak each others’ Love Language. Mandy’s is quality time and thus we spend a lot of time doing fun things together. Now is the time of the year when those things happen on a more regular basis when we get to go outside. 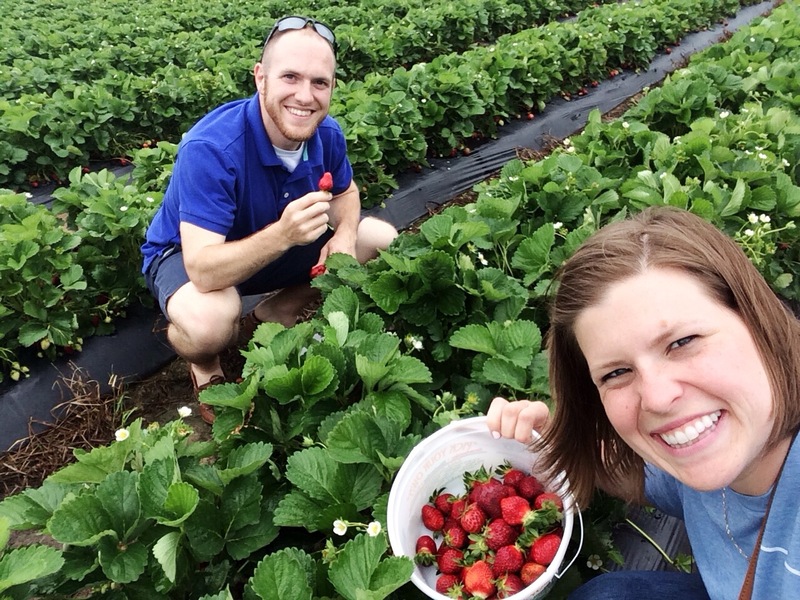 One of our favorites each year is strawberry picking! This year we went to Washington Farms for our annual haul of freshly picked berries. They have row after row of strawberries and they just hand you a bucket and send you off! Once you fill it up, you bring it back up to the counter to pay and head off to make yummy things with them! 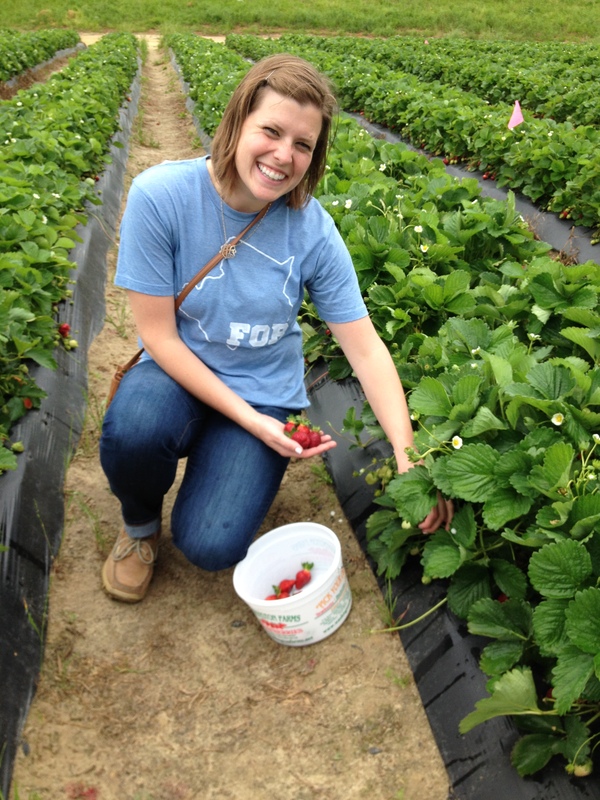 Mandy rocked her awesome #FORGwinnett shirt this year and we had a competition to see who could find the “weirdest” strawberry. Our cashier was the judge and Mandy won – hers had a hollow center! When we got home, we had two huge bucketfuls of strawberries and we got overwhelmed quickly. 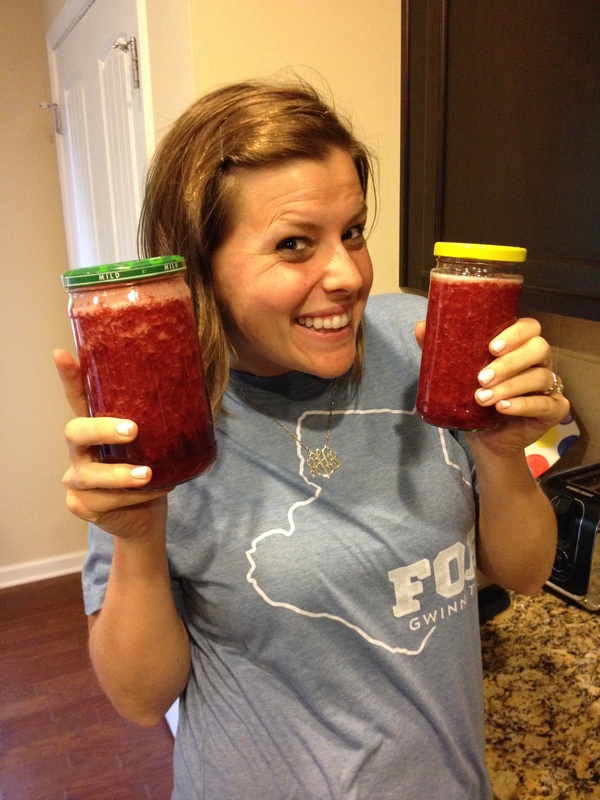 We froze a bunch and then made strawberry jam as well as a batch of strawberry frozen yogurt! We got some special pectin this year that is designed for use in sugar-free jams. We mixed that with a bunch of mashed strawberries and stevia. After boiling per the box’s instructions, we stuck it in jars overnight and had some awesome homemade jam for only 10 calories per tablespoon! 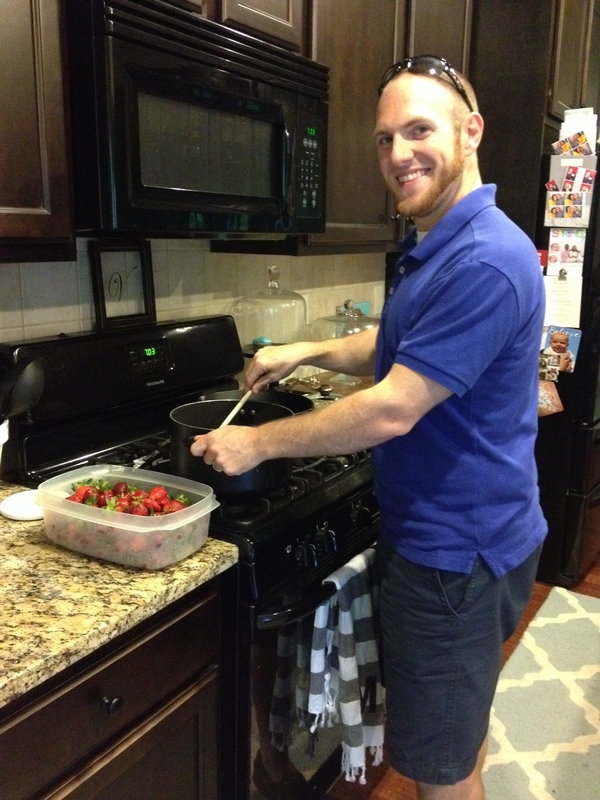 This entry was posted in Married Life and tagged date ideas, jam, strawberries. Bookmark the permalink.